Our mission is to select good quality food that you can buy with confidence, knowing that it will provide. 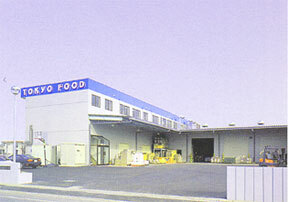 Tokyo Food is continuing stable development in the globally expanding food distribution industry. The engine for this development is the passion for work of our young members. To pursue our motto “Good tasting, healthy food, brought to you from all over the world”, we actually visit the production points of each product, to check the taste, quality and safety of the food, and provide it to you. Our mission is to select food of the highest quality, so that you can safely purchase and enjoy its great, healthy taste. We will continue to make every effort to search for good tasting, healthy foods all over the world. Your continued support and suggestions are greatly appreciated. Wholesale distribution of domestic and imported vegetables,fruit, and food. China, South Korea, Taiwan, Thailand, U.S., France, Mexico, Holland, Australia, New Zealand, etc. Based on our motto “Good tasting, healthy food, brought to you from all over the world”, we aim to contribute to society through our food. 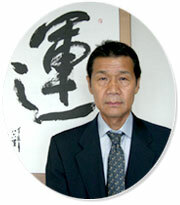 We will work with our staff, sharing dreams, feeling green, and enjoying good fortune. We will sincerely listen to every customer's voice, and use their suggestions in our product development. By harnessing the power and passion of youth, we aim to create something with a new kind of value. We were registered as a Sub-divider of Organic Vegetables on November 24, 2006. We received Ice Temperature (Hyo-on) food certification on April 4, 2001. Copyright© 2001 TOKYO FOOD CO.,LTD. All rights reserved.